One of the most important aspects of online gambling has got to be bonuses and the most important question for players is whether or not to accept them. There’s quite a bit of competition and many online operators offer players a great opportunity to boost their bankroll. Understanding all the facets of various bonus offers will have you off and running toward them with confidence! When researching a new online casino, players often choose the site with the most attractive Welcome Bonus. Welcome Bonuses are meant to draw players in and often times secure a deposit. Welcome Bonuses can be made of a variety of goodies from no deposit bonuses to free spins, free play and deposit match bonuses. In the case of online poker, there are often free chips and new player tournaments thrown in. Welcome Packages often include a combination of these offers with deposit bonuses applicable to your first few deposits. A deposit bonus is a means for us to jump start our bankrolls. Let’s say that that the bonus is a 100 percent match and you deposit $100, you now have $200 to play with. It would be nice if it were just this simple though wouldn’t it? There are a few other factors that can make players reluctant to accept such a bonus. Using the same example, the bonus is a 100 percent match but there is often a maximum bonus. The maximum bonus could be $50 which would give you only $150 to play with if a $100 deposit is made. You’d probably be best to deposit the bonus maximum of $50 and play with a total of $100. This is an important aspect of match bonuses because some of them will also require players to not only wager the bonus amount but also the deposit. With online poker, bonuses are often credited to players in increments based on Frequently Player Points (FPPs). For more information on the online poker bonuses, a great resource can be found here. Wagering requirements are the factor that can make the subject of bonuses a bit scary to players. If you receive a $100 no deposit bonus that you must wager 99x it’s next to impossible to achieve. 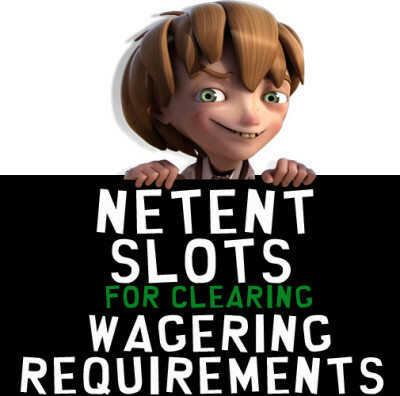 A good range for wagering requirements is ideally 20x to 50x maximum. Any more than that and it becomes crystal clear that the operator wants to make it impossible for you to cash out. Speaking of cashing out, there’s often a maximum withdrawal amount associated with a bonus offer. Bonuses are nothing to fear. Accepting any sort of bonus is a matter of personal preference and it has the potential to enhance your gambling experience. The key when it comes to online poker or casino bonuses is that you know what terms you are agreeing to. You don’t want the horror of winning a massive prize and realizing that you can’t withdraw it.